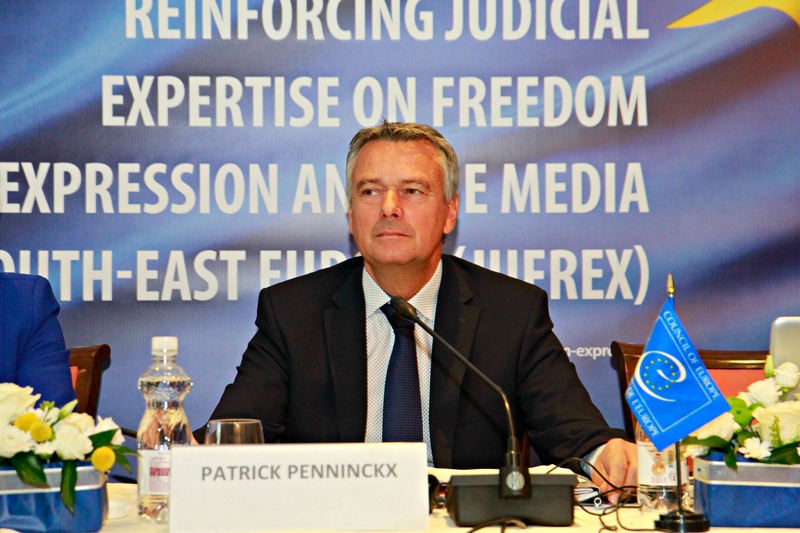 Interview with Patrick Penninckx, Head of the Information Society Department at the Directorate General Human Rights and the Rule of Law at the Council of Europe. 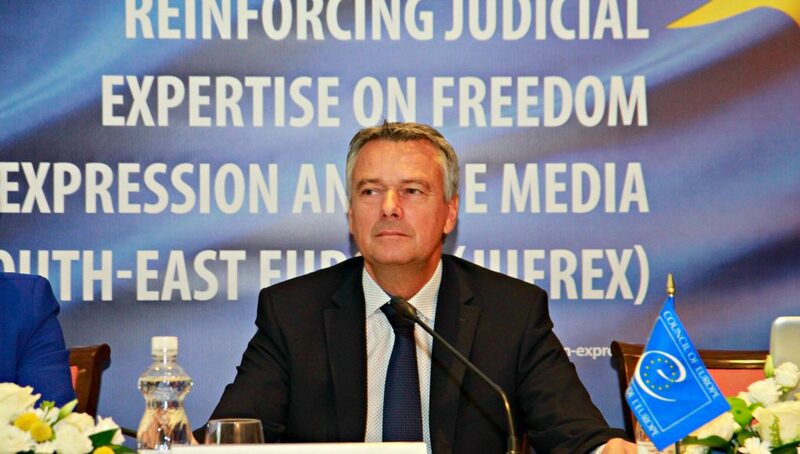 The interview was conducted ahead of the closing event of CoE’s media freedom JUFREX programme, which will take place on 4-5 April 2019 in Sarajevo, Bosnia and Herzegovina. 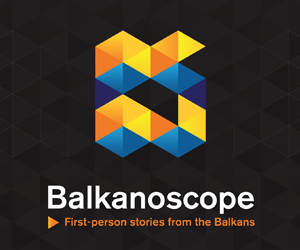 European Western Balkans: In your view, what are the main problems faced by Western Balkan countries when it comes to media freedom? How different are these problems from the challenges encountered by older democracies? To what extent are these freedom of expression issues specific only to the Western Balkans rather than part of a global trend? Patrick Penninckx: Traditional threats to media freedom and independence persist among the Western Balkans. These include: high rate of hate speech, often coming from politicians and addressing precisely the media, political influence over media regulatory authorities, lack of transparency of media ownership, poor quality of investigative journalism, weak mechanisms to support media associations, targeted attacks on online media, partial and inconsistent implementation of the legislative framework which, in addition, is not always aligned to the European standards. Moreover, public service media (PSM) still have to fight for their editorial and financial independence in the face of initiatives to slash their budgets, abolish license fees, or interfere with their internal operations. Last but not least, safety of journalists is a concern in certain countries of the region. The Council of Europe Platform for the Protection of Journalism and Safety of Journalists reports regularly and issues alerts to member states. Currently there are alerts without a state reply for most countries in the region. However, the situation in the Western Balkans must be read also in the context of a general trend that goes beyond the regional borders. Guaranteeing the right to freedom of expression and the safety of journalists are major challenges in all of Europe today. In many countries, journalists and other media actors are facing threats such as censorship, political and economic pressure, intimidation, job insecurity, abusive use of defamation laws as well as physical attacks. Moreover, new media and internet have brought many benefits but also new challenges and the need to set standards in this field. In this rather alarming context it is essential that states enhance their legal and institutional framework to address these challenges. The right to freedom of expression is one of the fundamental principles upon which a democratic society is based. The media are crucial for upholding this right and for the protection of all other human rights. Misuse of power, corruption, discrimination, criminal activity or human rights violations have come to light as a direct result of the work of investigative journalists and other media actors. Making the facts known to the public is essential for redressing such situations and holding to account those responsible. The freedom of the media and the free and unhindered exercise of journalism are essential in a democratic society, in particular for informing the public, for the free formation and expression of opinions and ideas, and for scrutinising the activities of public authorities. The Council of Europe is the only international organisation that has developed a comprehensive set of standards guaranteeing the right to freedom of expression and information. The Council of Europe assistance work carries particular legitimacy because it is based on the European Convention on Human Rights, the case-law of the European Court of Human Rights and the findings of the Organisation’s monitoring mechanisms The Committee of Ministers’ numerous recommendations, declarations and guidelines serve as benchmarks for state and non-state actors in member states of the Council of Europe, as well as beyond its boundaries. All these standards have real value only when implemented in practice and the Council of Europe, supports their promotion and implementation through various programmes. EWB: What is the Council of Europe currently doing to support freedom of expression? PP: The Council of Europe systematic action in the Western Balkans started in 2000 within the media component of the Stability Pact for South-Eastern Europe. More recently, over the last three years, in cooperation with the European Union, the Council of Europe has been implementing a regional joint programme “Reinforcing Judicial Expertise on Freedom of Expression and the Media in South-East Europe (JUFREX)” with the overall objective to promote freedom of expression and freedom of the media in line with Council of Europe standards, with a specific focus on the judiciary in South-East Europe. The programme was structured to provide support mainly to the judiciary and legal professionals but also to media regulatory authorities and other media actors. 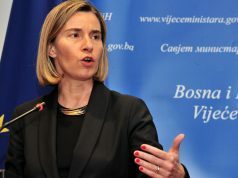 As to the judiciary, one of the main objectives was to contribute to improve the implementation of the European Convention of Human Rights and the Case law of the Strasbourg Court (ECtHR) in national proceedings but also to support national training institutions in enhancing the capacities of the magistrates in this respect. The successful results of the project show that all Academies of Judges and Prosecutors adopted the training curricula on freedom of expression developed under the project and integrated regular in-service and/or pre-service training sessions on the matter using the training material and the pool of certified trainers created under JUFREX. Further than that, in 2017 and 2018 domestic courts delivered many judgements on freedom of expression issues, explicitly referring to the ECtHR case law and adopting its reasoning. As a former ECtHR Judge for North Macedonia stated that: “JUFREX brought in a real change in the behavior, attitude and understanding of the judiciary over freedom of expression cases”. Another excellent example of JUFREX impact is the series of legislative reforms (Media Law, Law on PSM, Law on Electronic Media) that are on-going in Montenegro on the basis of the JUFREX Media Sector Inquiry and the further support provided by the joint EU/CoE Horizontal Facility. The programme was also aimed at strengthening the professional capacities of media regulatory authorities’ employees and at establishing a structured dialogue between media actors, self-regulatory bodies and legal professionals, both at national and regional level. Although national activities have been tailored to the needs of the country at stake, it is still very important to see that certain shortcoming as regards freedom of expression are common in the whole Western Balkan region. It is precisely the reason why JUFREX has a regional component, which represents a platform for the exchange of experiences when it comes to tackling similar problems and brainstorming on the best possible way forward. The closing event of the JUFREX programme, will take place on 4-5 April 2019 in Sarajevo and there we will share an overview of the activities conducted jointly with all partners, summing up the projects’ results as well as the achievements in promoting freedom of expression and freedom of the media. In total 245 activities were implemented, reaching out to more than 4000 beneficiaries. More than 2000 judges, prosecutors, and lawyers have been trained, while more than 1500 media actors attended JUFREX events. EWB: European Commission reports on Western Balkan are very harsh on Western Balkan countries when it comes to media freedom, but EU officials are very cautious not to directly accuse the governments for the recognized problems. Do you think such problems are in fact the responsibility of the governments, or there are some deeper issues at stake? PP: Indeed, the EU reports have registered “some level of preparation concerning freedom of expression” in most countries, but also very little progress in the last few years, which is increasingly a matter of concern. 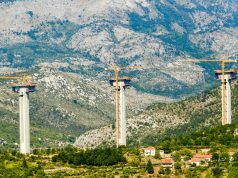 The situation is obviously different from country to country, as some steps forward have been recently reported in North Macedonia or Albania, for example. We had similar findings through the visits of Council of Europe Commissioner for Human Rights and the reports of the Parliamentary Assembly. The major responsibility of national governments cannot be denied, but there is surely a wider spectrum of factors that influence the current situation. They include the historical past, private economic interests, the cultural background, specific societal dynamics, etc. These elements are common for all sectors of the population and affect all citizens, including media actors. Journalists and other media actors are often specifically targeted on account of their gender, gender identity, sexual orientation, ethnic identity, membership of a minority group, religion, or other particular characteristics which may expose them to discrimination and dangers in the course of their work. There is a need for urgent, resolute and systemic responses. This calls for political commitment and additional efforts by member States to ensure prevention, efficient investigations in cases of violation and eradication of impunity in order to ensure an enabling environment for freedom of expression and to prevent a chilling effect to freedom of expression. It also requires strengthening the capacities of the judiciary to address the violations, as well as educating journalists about their rights. This is why the Council of Europe has a holistic approach when dealing with media issues in its cooperation projects, which implies to closely work with all stakeholders. In the next phase of JUFREX, which is expected to start at the end of May 2019 under the EU/CoE JP Horizontal Facility, we specifically focus on protection of journalists. EWB: How do you see the importance of independent media regulatory bodies? They tend to be rather weak and inefficient in Western Balkan countries, but they are nominally given very important roles for regulation of the media sphere. PP: The Council of Europe highlights the vital role of independent and pluralistic broadcasting media in modern, democratic societies. To ensure their survival and positive contribution, it is essential to provide for adequate and proportionate regulation of the broadcasting sector. Thus, the existence of media regulatory authorities, with specific expertise, is of paramount importance. The efficiency and independence of these bodies are key elements, to be ensured through appropriate regulation and protection from political influence and economic interests. In line with Council of Europe recommendations, all countries should ensure full implementation of media laws and strengthen the independence of national regulatory authorities in this field. Through the already mentioned JUFREX programme, we have been implementing activities in partnership with media regulators, touching upon topics such as hate speech in electronic media, protection of minors and media literacy. Two regional publications were produced with the involvement of all media regulatory authorities from the region, on hate speech and protection of minors, highlighting the role of national regulatory authorities in this area and the need to involve various stakeholders to accomplish progress in these fields. The assistance provided at national level upon request of the respective media regulatory authority is also noteworthy, for example in Albania, where the regulator approved a strategic plan for the next three years and increased its capacity to efficiently manage digital frequencies and expand the licence pool. In Serbia, the regulator requested Council of Europe expertise through JUFREX on a number of issues. The most relevant ones are probably the study on the independence and functioning of the regulatory authority for electronic media in Serbia, an assessment using the INDIREG methodology, and the study “Regulatory Authorities for Electronic Media and Media Literacy – Comparative analysis of the best European practices”. The Draft Media Strategy prepared by the Government with the involvement of other media actors makes reference to these documents. EWB: Journalism seems to be in crisis everywhere and independent media are having a hard time surviving in a market dominated by sensationalism, political clientelism, and fake news. 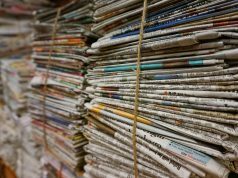 How do you see the prospects for the sustainability of independent journalism in the coming years? PP: Allow me to be a bit more personal in this answer. Journalism is about finding and telling good stories. Many elements related to this profession have changed in the last few decades. Stories have found new ways of reaching journalists through improved technological capacities, and many new storytellers – bloggers, citizen journalists, and social media personalities – have come to the fore. I think it’s in our nature to want to hear stories and to want to tell them. Indeed, we are surrounded by much sensationalism and various forms of information disorder ranging from click bait to intentional disinformation campaigns. However, we should be extremely cautious in how we tackle these phenomena so as not to cause more damage with potentially excessive and inappropriate responses. First of all, we need to be aware that there has always been a market for sensationalist media, and the best way to overcome the flood of low-quality content is to create demand for high-quality news through media and information literacy programmes for people of all ages. It is important to introduce comprehensive plans aimed at educating and highlighting to the public, first of all, the difference between reliable sources and sources of manipulative or blatantly false content, and secondly, the social value of quality news that far exceeds their economic value. I am not afraid that the core of journalistic activities will disappear. That said, we cannot leave it to a few enthusiasts and their – hopefully well-meaning – patrons, to provide us accurate, reliable information, to inform, educate and entertain us, to act as a public watchdog and help us make informed choices. That is a big task, and journalism is a service to the entire community that must be recognised as a public good. It must also be given structural and financial support that will enable it to survive and to thrive. The Council of Europe is an avid advocate of quality journalism, such that serves the public interest and is based on good faith and professional ethics. We are currently preparing a recommendation on promoting a favourable environment for quality journalism in the digital age that will include a number of financial measures that can be undertaken by the states, from favourable tax status for media companies, the possibility for media companies to operate as not-for-profit associations, to direct support. Any such measures must of course be accompanied by safeguards of transparency and independence, and are best managed by independent bodies at an arm’s length from the state. To this I would add that the digital giants that have become the largest distributors of media content will have to do more. At the moment, they are the ones most successfully monetising journalistic work, and we will have to provide for mechanisms for a fairer distribution of profits, possibly through some type of co-regulation to bring money back into journalism.